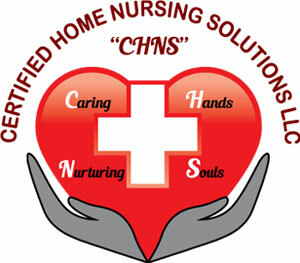 Certified Home Nursing Solutions (CHNS) is a family owned business serving Harford County and the surrounding areas, we are a Residential Service Agency licensed to do wound care,comprehensive care,and skilled nursing. We also offer a wide range of training options for health care providers and other facilities. We believe our clients and families in the Harford County and surrounding areas turn to CHNS because of our positive approach and commitment to providing care with compassion. The professionalism and reliability of the care being provided meets and exceeds your in home healthcare needs. Certified Home Nursing Solutions has a broad spectrum of services and a team of compassionate and reliable professionals that cater to a wide range of needs – from your pet to children, to young adults and to the elderly. As a Residential Service Agency we provide personal care & comprehensive care, we strive to provide families with the best for your loved-one and this is why we wholeheartedly invest in our home health professionals. The caregivers of Certified Home Nursing Solutions attend training and seminars continuously improving those care and nurturing skills because we know healthcare requirements are constantly changing. We give our all with care, respect and dignity to each and every family we help.